Special Offer This Month! Whiteboard Animation Video For Business! Special offer for you this month, to boost your sales through video marketing. It's for one month only starting today 12 Sept 2014. Let me draw it for you in color, voice over and music background included. Use Whiteboard video. This sort of animation is very effective for online promotion. Don't let your website be a museum. Or a cemetery. Or a home with termites everywhere. Think about grabbing attention at the first page, your home page. Create a story, create problems that your client crazily need to solve it. One, two, three or more. You provide the solutions and at the end you come for help as the only one solution maker on earth that they need. This is what we call call to action. Consider this special offer using whiteboard video to boost your sales before it's too late. Business needs visual. This is part of right-brain marketing stuff which include visual, questioning, storytelling and service. People of all ages like movie, cartoon, animation, etc so be there to stand out from the crowd! Just make your audience get involved. According to a study in the UK in 2013, 56 percent of respondents give a "like" more video content than the content of texts or images. This proves the video content is able to make audience feel much more involved. Whiteboard animation video for business is not new for global world, but maybe it is for you who just dropped by here. There are many people selling this service but mostly they just drag and drop images from the library. Some make custom drawings, including me. So this special offer gives you original work with reasonable price. Here is a sort of video that you'll get. In the marketing strategy, evoking emotions of consumers is proven to be able to increase consumer interest in using a brand or product. This emotional power is capable of changing into a potential consumer audience. So, naturally they become convinced to buy your products. Who would have thought that to add video on a website can actually help increase your chances of appearing on the first page of Google search. According to Comscore, the video content can boost your SEO content 53 times higher than an image or text. This of course can work well if you are able to make quality video content and is able to attract the audience. So, the attraction starts from here. The special offer applies for one month only. 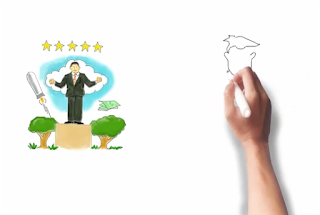 Whiteboard Animation Video For Business by Mr. Nurman learns to tickle your fancy!